Zotero has long been one of my favorite Firefox plug-ins, being a productive and trusted sidekick for collecting and reporting my voluminous citation and bibliographic data. I think perhaps my review of Zotero from January 2007 was one of my most glowing write-ups. 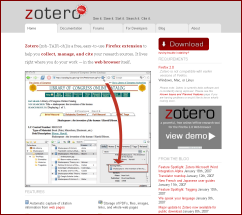 If you go to the Zotero home page, you will see at the lower left the steady increase of functionality that has come out in this free and open source tool. For example, Zotero now supports more than 1100 bibliographic sources, can capture Web pages and many standard Web sources, and has MS Office and WordPress support. Zotero has been developed and is distributed by the Center for History and New Media at George Mason University. According to the Courthouse News Service with a copy of this complaint filed September 5, Thomson Reuters is suing George Mason University and, as a state institution, the Commonwealth of Virginia, for $10 million in damages and an injunction on further distribution of a beta version of Zotero. Thomson is seeking a jury trial. Thomson claims that a July 8 beta release of Zotero (version 1.5) included a new feature to read and convert Thomson’s 3,500 plus proprietary .ens style files within the EndNote software into free, open source Zotero .csl files. 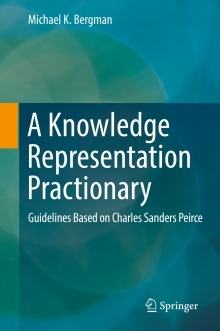 Thomson claims this is in direct violation with GMU’s current license for EndNote. The Zotero beta release introduces a server-side synchronization function; the standard Zotero release without this feature and the EndNote support is version 1.07. EndNote is a proprietary and popular citation software used by many academics and researchers. EndNote has very similar functionality to Zotero. It allows users to search online bibliographic databases, organize them, and store and re-format citations in various publication styles. Single user licenses are $250 with volume and academic discounts available. Thomson claims “millions” of ultimate users. Thomson Reuters is also the firm behind the Open Calais named entity extraction service noted much in the semantic Web community (and which this week announced a commercial version). File format ingest and conversions have long been a mainstay of interoperable software systems. This lawsuit will bear close monitoring. Hat tip to Rafael Sidi for this link. This suit is because EndNote is like something from 1997 (I’m serious! ), and Zotero is poised to kill the dinosaur. No wonder they’re scared. I have been using OpenCalais for some research projects that I am working on. As of today I will begin replacing it with open alternatives (probably the Stanford NER). Reuters’ lawsuit is counter to the principles of standards and openness that Semantic Web evangelists advocate, and I hope they will not show their hypocrisy by continuing to use or publicize Reuters’ OpenCalais product. @George: EndNote dates back to 1988 (from Niles Software)! ProCite is just as old!